by Grown-up Travel Guide Contributor in Features, Home, Montenegro. Montenegro, in the southern part of the Adriatic, is a unique country in several ways, packing a great diversity of landscape into its relatively small area. The name itself translates as Black Mountain, and apart from these majestic crags and peaks you’ll find sandy beaches, fast-flowing rivers, crystal clear lakes and spectacular waterfalls. A typical day here could see you enjoying breakfast on the glorious Adriatic coast, lunch on the tranquil shores of Skadar Lake and in the evening a breezy walk in the foothills of the mountains. All the different landscapes are within easy reach, so check out the best holiday deals and head for Montenegro for a fabulous break. Apart from the spectacular natural beauties of this country there’s also a whole load of history and rich culture here. Montenegro has seen some interesting times, with invading and retreating armies criss-crossing it for many centuries and numerous different peoples leaving their legacies in is old cities and monuments. The cities and monasteries with their priceless cultural treasures neatly balance the natural delights of the Montenegrin Riviera to make for a beautifully rounded holiday whatever time of year you choose to come. The main city is Podgorica, located at the meeting point of no less than five rivers. Because of its strategic location there has been a settlement here since the 5th century. The Turks occupied it in 1474 as part of their long term campaign to conquer Western Europe, and they built a vast fortress to protect their interests against the local Slavic tribes. Chelia Piperskaya monastery, just over 15km out from the city, is one of the big attractions here. Located on the outskirts of the village of Gornji-Crnci, the monastery was built in the late 19th century and contains the relics of a saint. In the old capital, Cetinje, there’s the shrine of the famous Montenegrin philosopher and poet Petr Njegos. It’s located on the top of Mount Lovcen and worth visiting for the spectacular views. Nearby Cetinje monastery contains not only a mummified saint’s arm but also the first Slavic printed book and a part of the True Cross, of which there are probably enough of these in Balkan monasteries to build a small ship. Ulcinj in the south of Montenegro is one of the oldest cities and has a fascinating Old Town complete with citadel and an 18th century Turkish bathhouse. The most popular of Montenegrin resorts is Herceg-Novi, often referred to as the Garden of Montenegro because of rich variety of plant life. 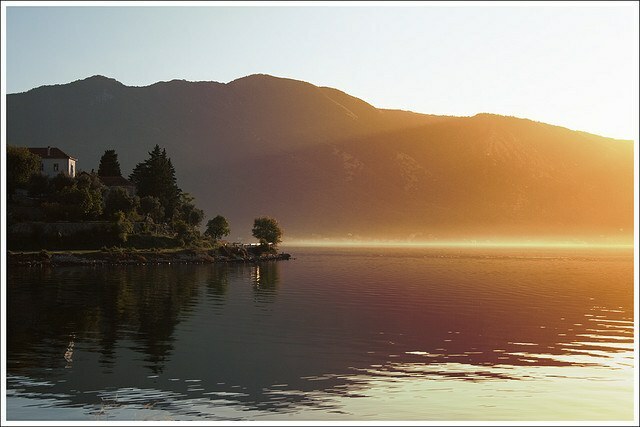 It stands at the entrance to Kotor Bay, on the most picturesque stretch of the coastline. There has been a town here for 1600 years and there are numerous medieval monuments like the Prevlaka and Arza fortresses and various old churches and bulwarks, as well as a good art gallery and natural history museum. Montenegro is packed with cultural, historic and natural treasures, and as its tourist industry is still largely in its infancy now is a great time to come and see what it has to offer the adventurous and inquisitive spirit.